Feadship Royal Dutch Shipyards is known for building top-tier super-yachts with excellent attention to detail and overall quality in the 40m to over 100m range. However, the prominent Dutch builder recently went outside its core build size range on a special request from a client to deliver a smaller 34m Feadship with the same level of attention to detail and meticulous construction as each larger super-yacht built by the yard. As is tradition at Feadship they found a way to deliver on the client’s request and as a result two new near-identical and unrestricted ocean-going 34m super-yachts were launched this year: Kamino and Moon Sand Too. Kamino and Moon Sand Too are the first two hulls launched in what will ultimately be a five yacht series of these innovative 34m super-yachts. Despite their smaller sizes they do not lack features and portions of these 34m yachts could easily be mistaken for a 50m or larger yachts. Feadship also found a way to continue innovating despite building to a smaller size; for example, the exterior of the hulls boasts a higher ratio of glass than any other Feadship. The interiors also feature ceiling heights of 2.45m (8′) which is a luxury often found in larger yachts. 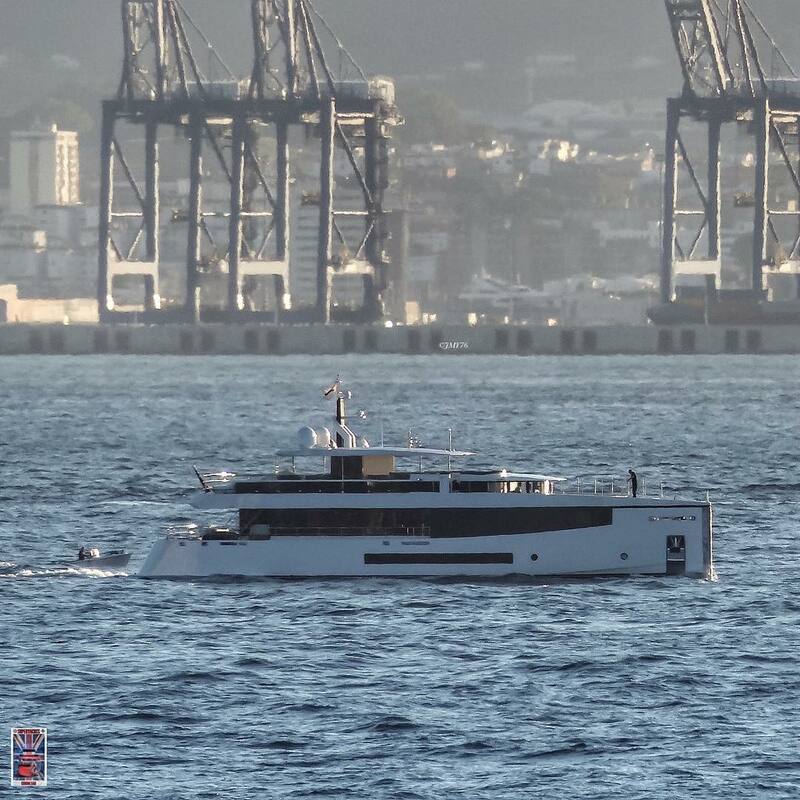 Despite their similar exterior profiles designed by De Voogt both Moon Sand Too and Kamino have interiors customized by Bannenberg & Rowell designed to owner preferences. They each feature accommodations for 10 guests across five cabins and additional room for six crew members. 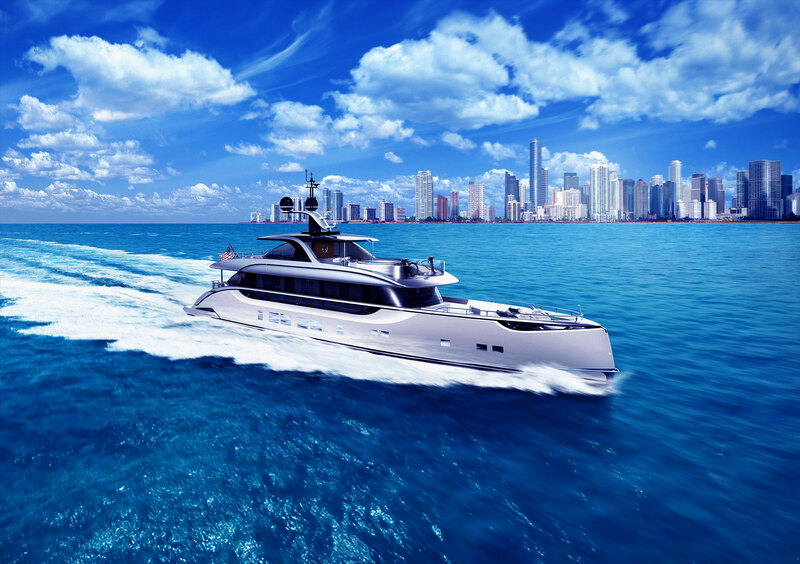 They each feature aluminum superstructures and semi-displacement hulls with twin MTU diesel engines. Feadship originally intended to build just three of these unique 34m super-yachts and ended up with additional clients that wanted to build one as well, bringing the total to five hulls. Although the company plans to end production after the fifth hull, Feadship often finds a way to turn client requests into reality and there is no telling what new and innovative builds the Royal Dutch Shipyards will launch in the years to come.